For now George Budd‘s origins will remain elusive. There is nothing in local (WA) sources to suggest anything more than a birth in England in 1834. Records of parish baptisms in England for the name George Budd in that year, provided over sixty options in the major sources. The research tool for the desperate – ancestry.com Public Member Trees – was silent except a suggestion of Whitley, Surrey and a baptism in Whimple, Devon the latter occurring (mysteriously) two years prior to his birth in Exeter in 1834 recorded on the same Tree. Next, on to the elimination game. The 1851 Census (the first to record birthplaces) provided 28 results. 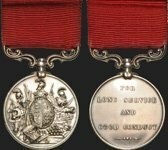 The most promising was a George Budd in the registration district of Greenwich, sub-district of Woolwich Arsenal. He was a 16 year-old scholar residing with two very well heeled female cousins (1). Woolwich Arsenal had been a training facility for the Royal Engineers, the Royal Sappers and Miners and the Royal Artillery in the early 1850s, so one would expect to be on the right track. Young George’s birthplace was stated as Shoreditch, Middlesex. Since Shoreditch parish records (and often bishops’ transcripts) are held in the London Metropolitan Archives, that would be the next step. Sure enough, there were two records of baptism for George Budd in St Leonard’s Shoreditch – one plain George Budd and another George Symonds Flowerdew Budd (2). Owing to the fact that one of them had the well heeled cousins living in Nightingale Place, Greenwich, I pursued the fancy name (father a wine merchant), rather than plain George Budd whose father was a cooper. First instincts are often best, as further links were discovered to suggest that George Symonds Flowerdew had died in 1886 in Gloucestershire, England (not in 1882 in Western Australia). Furthermore, he had been a Major in the Royal Artillery (3). This served to eliminate both George Budd baptisms in Shoreditch. Thus this genealogical meandering has taken us back to square one. Whatever his origins, our George Budd joined the Royal Sappers and Miners sometime prior to 1857. In that year he left Plymouth on 23rd September and boarded Nile for the Swan River Colony. He was one of 27 RSMs tasked with assisting the warders on board to oversee 270 convicts; no enrolled pensioner guards were on the journey. The RSMs joined the 20th Company in Fremantle on 1st January 1858 (4). Following his arrival, Budd was assigned as an Instructing Warder to the Port Gregory Convict Depot; George was a miner by occupation. From October 1859 to January 1861 he was stationed at Champion Bay (Geraldton) Convict Depot. In November 1860 he assisted in completing the 300 ft. long jetty, extending into nine ft. of water (at low tide) (5, 6). 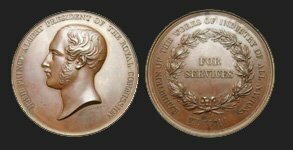 George Budd, Service No. 4109, was discharged by purchase from the Army on 31st March 1862. There is nothing to suggest in the Pay Lists that he held the rank of corporal as some sources indicate (7,8). George Budd married Fanny Backshall (var. Backshell) in the Congregational Chapel, Fremantle on 16th February 1862. Over the next ten years they had five children: Harriet Ann (1862), Clara Eliza (1865), Fanny (1867), George Henry (1870) and Herbert William (1872) (9). George led a productive life in Western Australia. He was a storekeeper, publican of the “No Place Inn” in Howick Street (now Hay Street). He became a Councillor in Perth and a member of IOOF (10). He was (with Gabriel Adams) builder and/or financier of the pearling schooner Clarice which was launched in September 1871. She was described in the press as a ‘smart little craft of 17 tons’. In fact she was a two-masted schooner of 15.8 tons with dimensions of 46.58 x 11.75 x 5.55 ft. (11). Budd acquired land in Perth – Town Lots W38 and W39 (Mangles and Parry Streets) and the north quarter of Town Lot W106 (Stirling and Beaufort Streets) (12). George Budd died on 11th April in Perth and was buried in East Perth Cemetery on 12th April 1882 (13). He left a Will (14). Fanny Backshall Budd married again – twice – after George’s death (10). 1. 1851 Census of England & Wales HO107-1587-353-40, National Archives, Kew. 2. 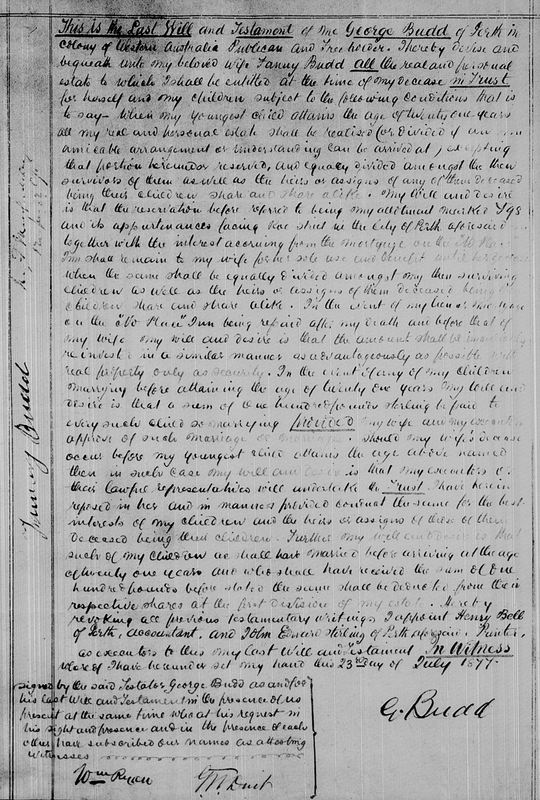 Baptisms Parish of St Leonard, Shoreditch 1834, p.168, No.1344, London Metropolitan Archives. 3. Alumni Cantabrigienses: A Biographical List of All Known Students, Volume 2, By John Venn. 4. Muster Rolls & Pay Lists January 1858, WO11-158, National Archives, Kew. 5. Dictionary of Warders and Gaolers, p.26, David J. Barker. 6. Memorandum of Amount of Work 1863, Henderson, Manning and Grain. 7. Muster Rolls & Pay Lists Oct 1859 – Mar 1862, WO11-169 to 203, National Archives, Kew. 8. CSR Vol. 499-15, State Records Office, Western Australia AND Ephemera PR 6547, F H Broomhall, Battye Library, Western Australia. This references used for Budd’s arrival on the Anna Robertson in the resource ‘Passenger Arrivals in Western Australia 1830-1890’ is incorrect. CSR Vol. 499-15 is a list of 20th Company RE soldiers discharged in WA written and signed by Captain E M. Grain, March 1862. 9. Certified Copy of Marriage Ref. 1746/1862 & WA Birth Index, GRO, Perth. 10. Bicentennial Dictionaries Vol. 1, p. 382, Rica Erickson. 11. They Kept This State Afloat: shipbuilders, boatbuilders and shipwrights of WA, 1829-1929, Rod Dickson, 1995. 12. Land Titles Office advertisement, Daily News 14 Apr 1893. 13. 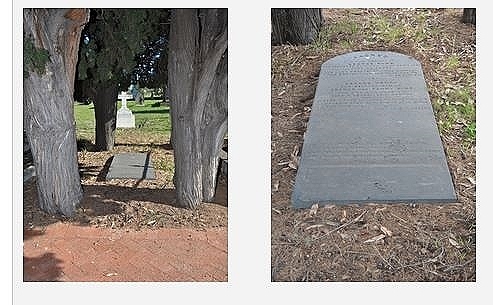 Record of burial and photograph of grave courtesy of East Perth Cemetery website. 14. Cons. 3403-1882-645, State Records Office, Western Australia.